ONLY IN OUR ONLINE SHOP ! 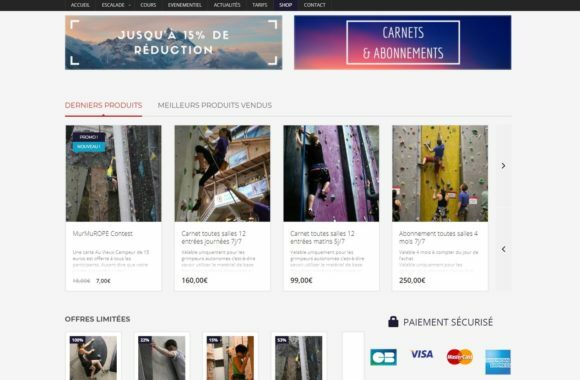 DON'T MISS ANYMORE NEWS FROM BOULDERING AND CLIMBING. Our murmurian community is centered on well-being, pleasure and friendliness. You can climb at any age whatever your level, alone, with friends or in family. Excepted December 24th and New Year's Day (we also like gifts and partying). 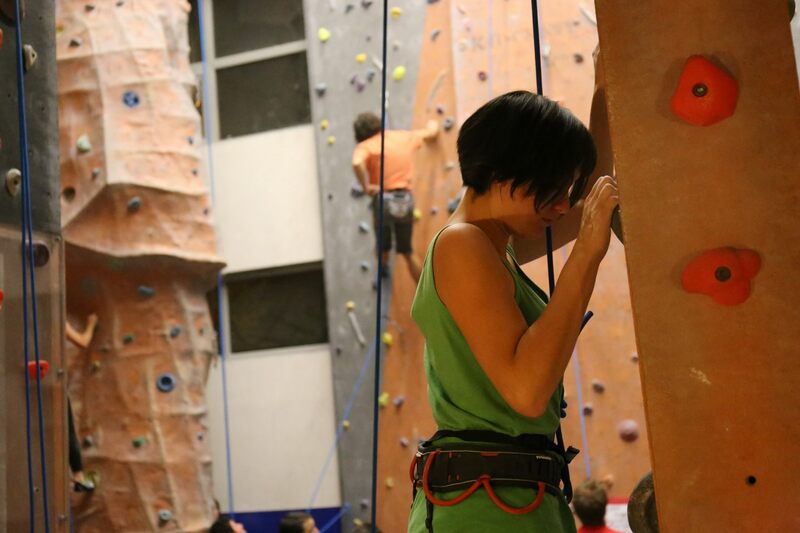 Born in 2015, it is a climbing gym exclusively dedicated to the blocks near the historical climbing gym of Pantin. 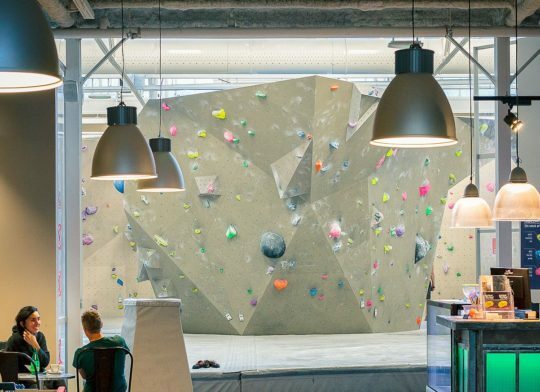 It is the first climbing gym to open theses doors in 1996 in a old disused factory. Born in 2001, it is an architectural prowess located under the archways of the RER C in Issy-les-Moulineaux. 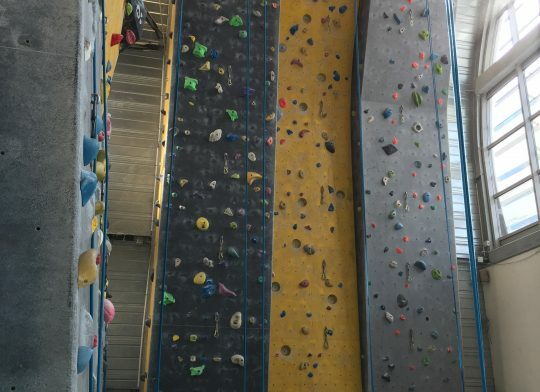 Climbing consists to make front to an artificial surface with open ways of different colors and varying levels of difficulty (from beginner to experienced). The climbers form a roped party two by two : a team-mate climbs on the wall while the other, on the ground, secures him with the rope. The height is between 8 and 17 meters and emptiness provide at the same time emotion, control, responsibility, self-confidence, respect and pleasure ! Bouldering find this origin on the rocks from Fontainebleau forest. 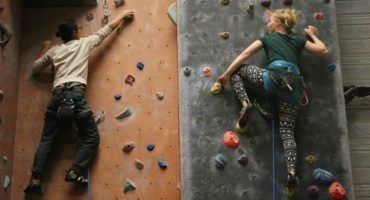 It is a sport practice and a type of climbing which is characterized by the low height of the blocks to climb (4 meters). Therefore, bouldering is practiced without conventional climbing equipment such as rope, carabiner or harness. It is a safe and accessible activity for all. Indeed, risk is zero at the fallout thanks to thick carpets that cushion the fall.  Contest, open days, discovery evenings, etc. Indoor climbing precursor and undisputed leader of climbing gym since 1996. 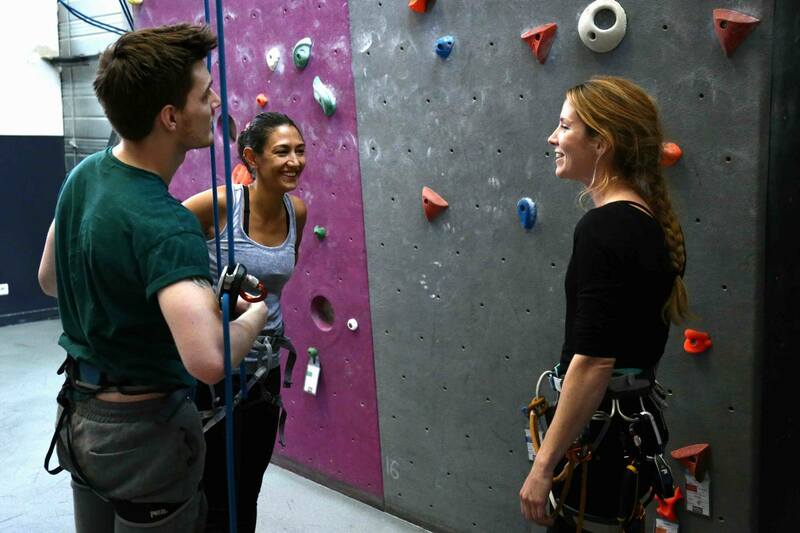 Every day, we work with one goal in mind : making climbing easily accessible to everyone. It was true when the first climbing gym opened in 1996 and this is also true today. 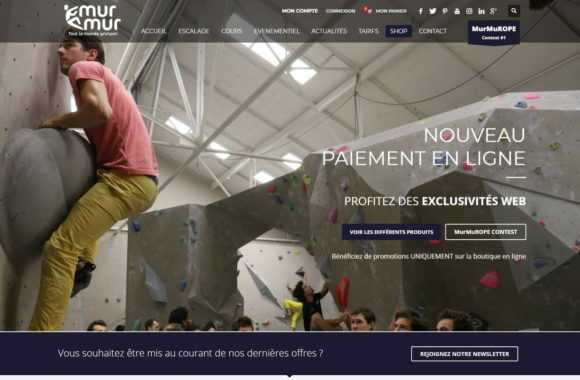 Originally located in unusual places : a disused factory became a moutain hut with the climbing gym in Pantin ; an prowess architectural under the RER C with the climbing gym in Issy-les-Moulineaux ; and finally an old printing-house next to the historic climbing gym in Pantin, which has became a bouldering gym. Since 20 years, MurMur develop the practice of climbing like an urban leisure, combining well-being and conviviality, always in harmony with the nature spirit and the mountain. These courses will help to improve memory and stimulate creativity, coordination and awareness of your youngest child.  These courses will contribute to the surpassing yourself, desire to vertiginous or simply to the preparation for the escape in the mountains. Are you looking for climbing partner ? 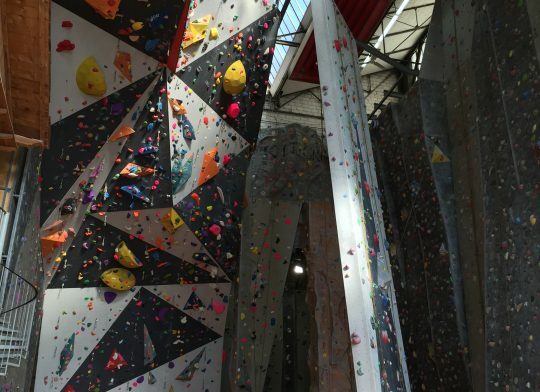 "Constellated climbing holds, it has advantage to limit the phobia of the vertical drop." "The candy-colored catches are waiting for you." "The high place of climbing !" Join our murmurian community !  Visit our forum !